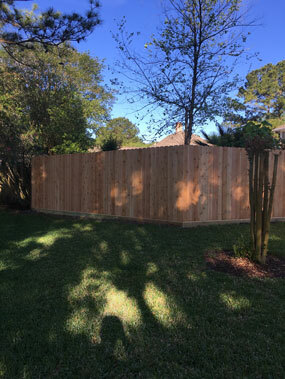 Although Dunn Fence was established in 2013, we have quickly become the #1 fencing company in Woodlands, Tomball, and Spring, TX. We are a father-son business that takes pride in every project we put our hands on. By paying attention to the details, we are able to produce spotless results for both residential and commercial locations. We treat all of our clients with complete professionalism and we always maintain the highest level of customer service. Our team of experts is the best at making your wishes a reality. If you are in the market for wood fencing, iron and aluminum fencing, chain-link fencing, fence staining and sealing, or iron painting, please give us a call today at (281) 923-4767.